Since 1985, we have been tirelessly perfecting our process and we take great pride in the simplicity and efficiency of our operation. There’s a reason why we’re an industry leader, and while much of it has to do with our high standards of work, our award-winning creative staff, and safe and secure shipping... it all comes down to reliability. 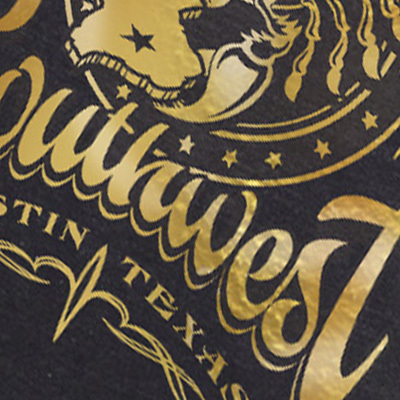 If you want premium quality screen printing services at an affordable price, then you want your job done by the experienced pros at Outhouse Designs! Our minimum order quantity for custom screen printing is 72 pieces - based on each individual job setup. 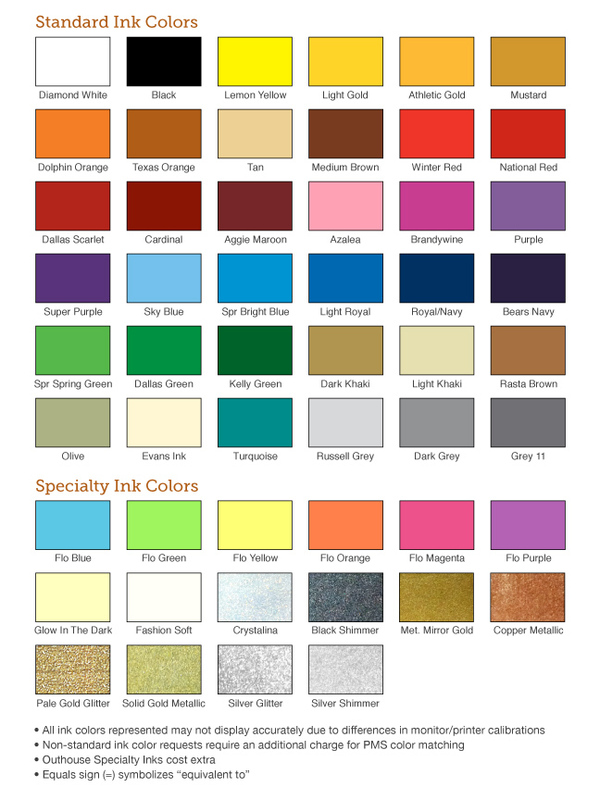 We have 36 standard ink colors to choose from - offered at no additional charge. If you need to match a specific color, we offer pantone color matching for a one time (per order) extra charge of $20 per color. If artwork is customer supplied, we must determine if it will print well. We review each piece art and offer suggestions and recommendations for better printing if necessary. To help, we've developed an artwork requirements guideline based on our experience over the years. Once the artwork is determined good for printing, we'll email you a digital art proof showing a mock up of the design on the garment style and color(s). On this proof, we'll list out the exact imprint sizes and list the pantone colors we intend to use. The mock-up is an estimate for sizing and location. It's at this stage we request your artwork approval so that we may proceed with your order, so if you have any questions or concerns, please let us know! For each color in a design, we produce a piece of film that will become an individual screen. Each separate screen is put on press and loaded with a specific color to be printed. The process for deconstructing the art into it's single color components is called color separation. Once the art is separated, we output a film positive for each color. Screen exposure or "burning screens" is the process of creating a screen stencil from the image on the film. A pre-stretched screen is coated with a photo-reactive emulsion and dried. The film is then adhered to the coated screen and exposed to high intensity light for a defined period of time. After exposure, the screen is sprayed with water to remove the emulsion from the image area. Once the screen has dried from the wash out, we prep it for the production run. We apply block-out to the emulsion areas outside of the design. This prevents the occurrence of pin-holes (tiny holes in the stencil that allow unwanted dots on a shirt) and helps stabilize the stencil for the entire production run. The edges of the screen are taped off to prevent other ink leakage and allow easier clean-up. While the film is being printed and the screens are being made, the ink department is pulling the ink and stationing it in a holding area for the press operators. Based on your order, we either use our stock inks or custom mix requested pms inks with our pantone color matching system. 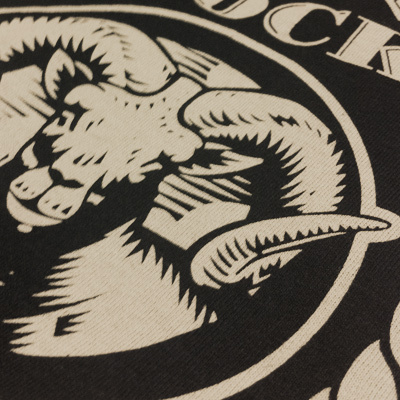 There's actually quite a lot of variables that are addressed each time a screen print design is set up on press. Depending on the design and desired outcome, press operators consider the amount of off-contact, squeegee speed, squeegee angle, durometer and other technical aspects of screen print. After the initial set up, these settings are recorded so the set up takes a fraction of the time for a re-order. Good screen printing really comes down to the separation process. If the art isn't separated well, it's not going to print well. 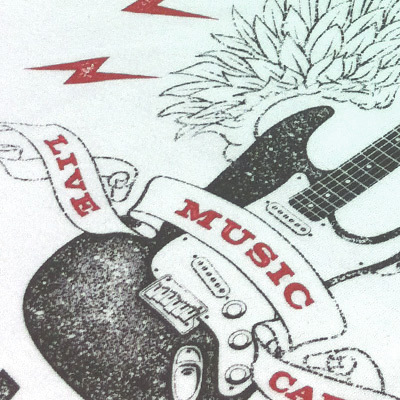 Outhouse Designs excels at color separation - producing beautiful, award-winning prints. Below is a breakdown of our standard printing methods. 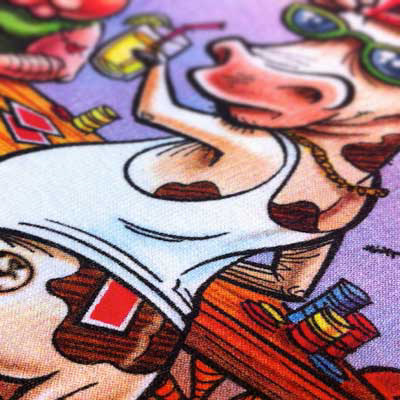 Spot color printing uses standard plastisol inks and is usually no more than 3-4 colors. The process of assigning pantone colors is straightforward and the number of colors is easy to count. The design colors may contain halftones, but the colors do not blend together. Simulated process printing is the method of creating color separations for photographic or very complex, color rich graphics on colored garments. 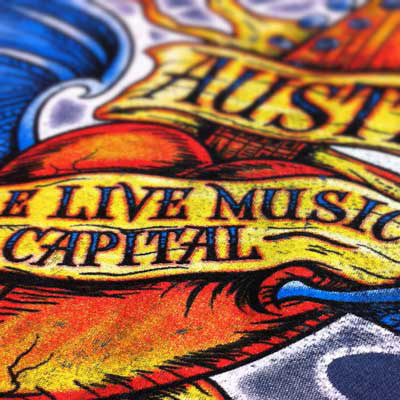 The method mixes standard opacity plastisol inks to achieve a photorealistic 4-color process look. Few shops can achieve quality simulated process prints due to the many variables involved. 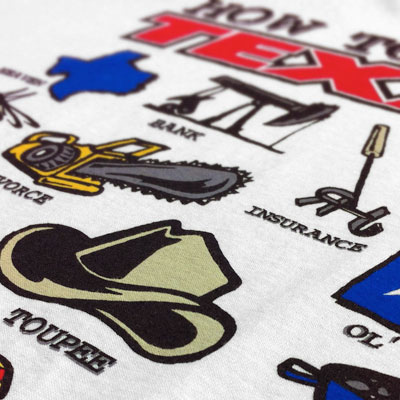 At Outhouse, simulated process printing is our specialty! 4-color process prints specially formulated inks in the colors of cyan, magenta, yellow & black to simulate how a regular ink jet printer would print. The inks are transparent, so this process can only be used when printing on white or, in certain cases, light garments. Images that call for this process are usually photographic. 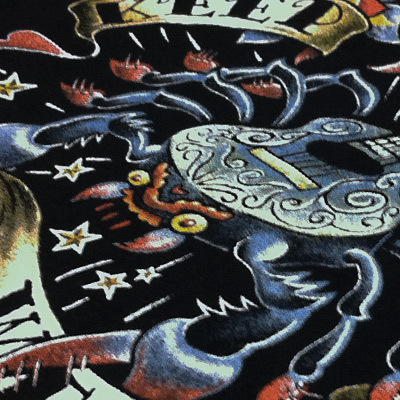 If necessary, spot colors may be added to the 4-color process ink print order for increased vibrance and saturation. Retail inspired designs call for softer printing. Inks work best on white or light garments with the use of fashion-soft base additives and water-based inks. Achieving soft prints on dark garments is not as straight forward, so when requesting a soft-hand print on darks be sure to have a conversation with our art department so you know just what to expect. Below is a breakdown of the different processes we use and a little bit about each one. 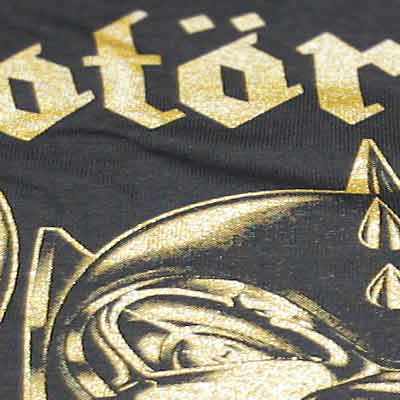 Discharge ink was developed specifically for soft-hand printing on dark garments. Discharge is a water-based ink that bleaches the garment weave while depositing pigment. The look of the final print is quite different from traditional plastisol prints. The end print is more muted, therefore pantone ink matching is not possible. The print has an extremely soft feel after the garment has been washed once. Water-based ink is more transparent than regular plastisol inks and it does not print well on dark garments, so you'll want to stick to printing on white or light colors. There is no pantone color matching with water-based ink. The print has an extremely soft feel. 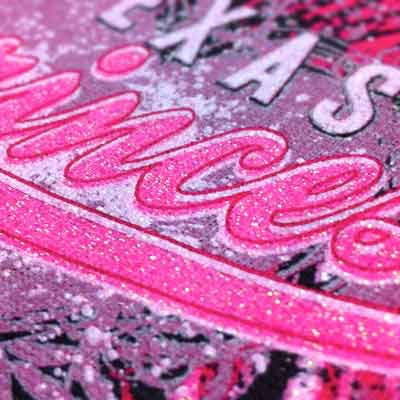 Fashion soft is a soft-hand additive that mixes with plastisol inks to achieve a softer feel. It works well with complex color mixing such as simulated process. In many cases, it's a better alternative to water-based or discharge printing - especially when color matching is important. Really want your order to get noticed? Try incorporating our specialty inks. Our art department can offer recommendations based on your design. Our most popular choices are listed below. 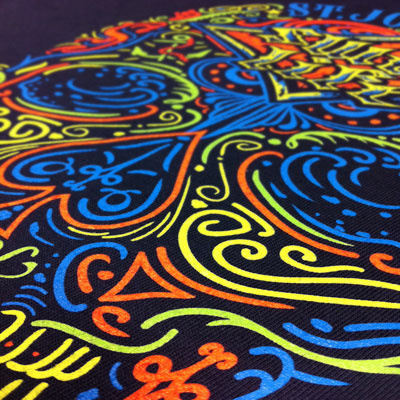 Fluorescent neon inks will make any print vivid and bright. Fluorescent colors work well on any design that you want to be noticed. Available in Blue, Green, Yellow, Orange, Magenta and Purple. Tiny reflective flakes suspended in a clear carrier ink make these sparkly metallic inks. The print is nice and solid in 100% fill areas. Available in silver, gold, and copper. 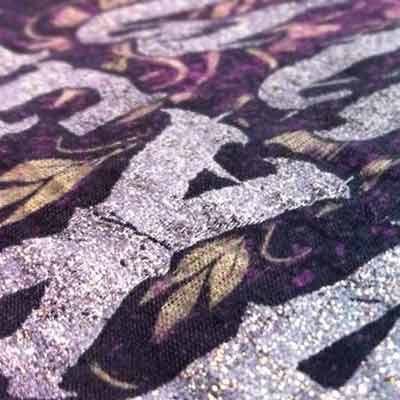 Larger reflective flakes suspended in a clear carrier ink make these sparkly metallic inks. The print is nice and solid in 100% fill areas. Available in silver and gold. Clear reflective flakes allow this clear carrier ink to be on top of other ink colors with only one application. Turn out the lights and areas printed with glow ink are illuminated. 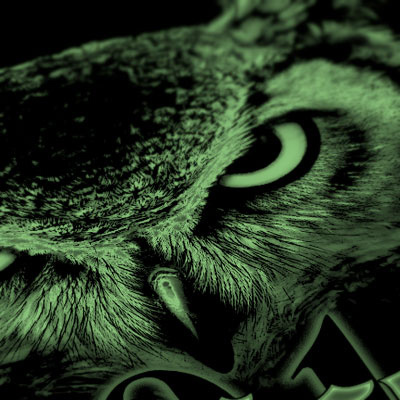 This ink is great for Halloween shirts, rock designs, or any design that you want to glow in the dark! Glow in the dark works on white or colored shirts, however colored shirts will require that an underbase of white be printed for the glow effect to work properly. Add some flashiness to your next design! Highly reflective and almost mirror-like, foil is actually a sheet heat-pressed onto adhesive ink. Because of this, we recommend against using fine type or small details with this type of printing.